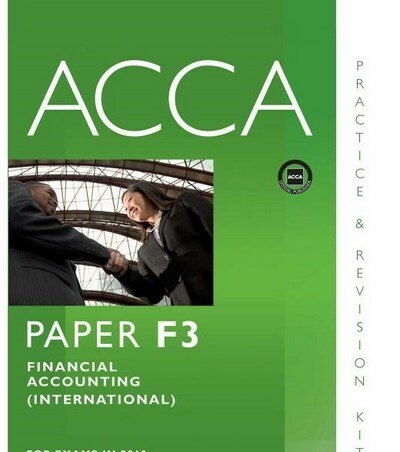 ACCA F3 Complete Learning Solution Financial Accounting(FA) (Video Book) | Free eBooks Download - EBOOKEE! Posted on 2013-08-01, by minhchick. The ACCA F3 Complete Learning Solution contains all you need to gain a thorough understanding of the main accounting techniques, concepts and regulations. The F3 Complete Learning Solution is the only Kaplan Publishing product to include a Final Assessment with answers, giving you a taste of what to expect on the day of your Financial Accounting exam and helping you achieve exam success. No comments for "ACCA F3 Complete Learning Solution Financial Accounting(FA) (Video Book)".